In what seems like another lifetime, while record shopping, I was mesmerized by the music being pumped out of the record shop’s speakers. It grabbed me and brought me on a curious journey before setting me back down on earth. Entranced, I wandered to the clerk to inquire “Who is this band?” “Clinic,” he said. I bought the album Walking With Thee on the spot. I took it home and played it until I knew every note and had discovered all of its hidden secrets. After much consideration of a friend’s upcoming birthday, I was convinced this album would be the perfect gift and had been prepared for the album to simply blow her mind. I did not receive the reaction I expected. “Every song on the album sounds the same.” Oh, how I was plagued by this wretched way of thinking! The beauty of Clinic is their ability the create variations on a theme. The influence of experimental jam sessions, psychedelia and jazz in the music is what many listeners find attractive. Look at “Echoes” from Pink Floyd’s Meddle which is essentially one long song that comprises the entire second side of a vinyl record. Some of us don’t mind if an album sounds like one long song. On Clinic’s seventh studio album Free Reign, songs like “Seamless Boogie Woogie BBC 10pm (rpt),” “Miss You,” “King Kong” and “You” embody this idea of musical freedom and the spirit of exploration. The prominently featured wah-wah pedal of 2010’s Bubblegum, a departure from their original sound, is all but gone except for the track “Cosmic Radiation.” It seems that while Clinic has abandoned their previous attempt to assuage the critics and change their sound in favor of what they do best and what some of us truly love about them, they have not lost the courage to experiment with the music. Pshaw to those that say Clinic are trapped or tied to a sound and have become stagnant. Clinic has instead achieved an equilibrium performing a balancing act by managing to remain experimental yet maintain their definitive sound. 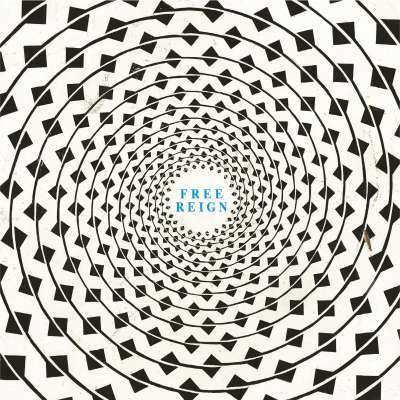 For those fans who insist that Free Reign apparently still lacks the gritty raw energy that Clinic creates so well there is Free Reign II, a mix of the album by Daniel Lopatin (a.ka. Oneohtrix Point Never.) Either way, I’m still as mesmerized and entranced as that day long ago in that record shop.